A rousing game of angle ball! The camp is ready and the campers are arriving! Counselors have been working hard all week, through rain and sun, to prepare Towering Pines for the summer to come. I gotta tell you, I’m feeling good about this one. We have a lot of new faces and many veteran staff members; everyone is enthusiastic and ready to be all that they can be. A dragonfly emerging from the nymph stage of life. Dragonflies only spend about two months as adults. The nymph stage can last for up to four years! We often find their empty shells (exuvia) stuck to dock sections or walls in the early summer. They are a bit freaky-looking, but the exuvia is what is left from a dragonfly’s childhood and there is something profoundly beautiful in that. I was luck enough to watch one transform before my eyes. This struck me as an appropriate symbol for this day of change. Over the course of the summer, we will all undergo metamorphoses and we won’t always look back fondly on what we once were. But that process is a beautiful and necessary one. 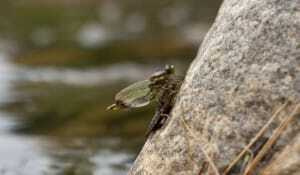 The dragonfly’s emergence is a moment of vulnerability and peace that marks the beginning of its future. 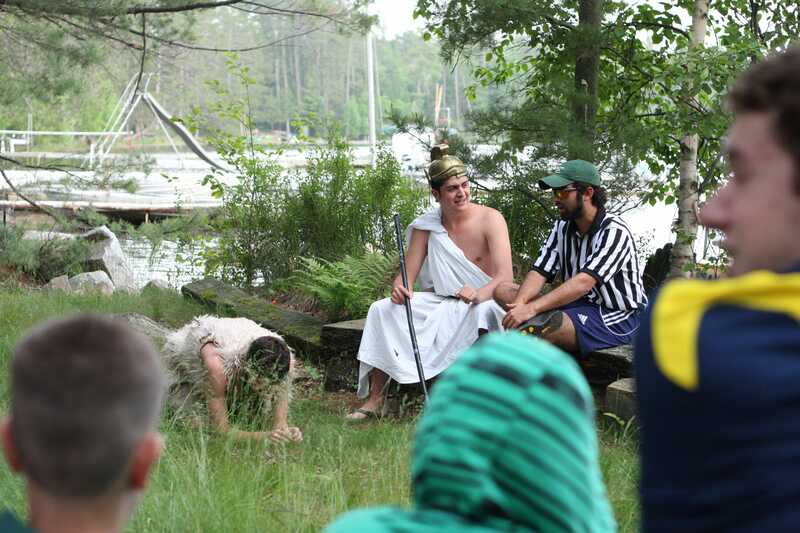 As counselors we are here to recognize and help campers through such landmark transitions. I kept thinking about the dragonfly as we went through the rest of our day. 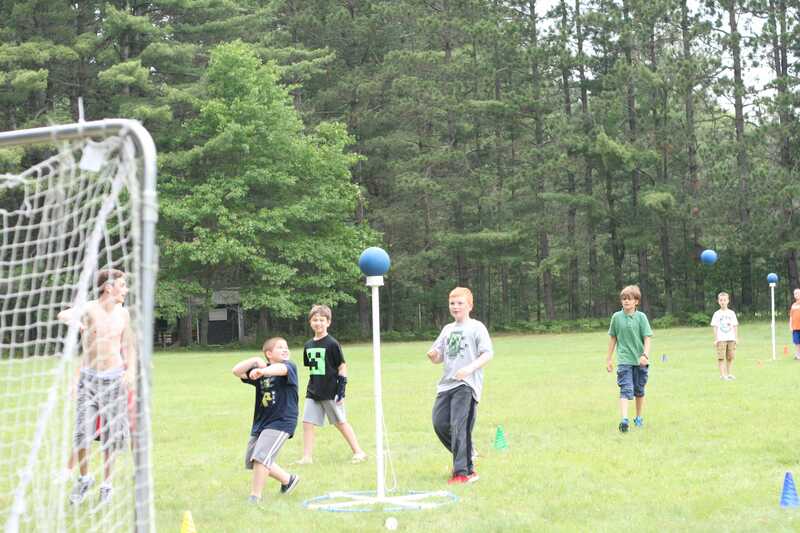 Campers, new and old, joined a pick up game of Angle Ball (a new sport to arrive at Towering Pines); jumped in Nokomis for an invigorating soap-dip; and prepared for the evening campfire under a bit of blue sky. Our campfire MCs, The Ref and TP Trojan, showed up and led the counselors through the first campfire of the season. Tomorrow, the campers will have a chance to step out of their shells and perform at a campfire all their own! And so the TP life cycle continues. This is going to be a great summer; I can already tell. Before long everyone will be here and activities will be in full-swing. The summer will go by all too quick and before we know it this stage of our lives, too, will be behind us. So, I’m going to be doing my part to be enjoying every moment!